A fifth Sunday for Christ Church, Cedar Park doesn’t just mean another day of worship within the walls of the church, it signifies a day of mission in action. Instead of holding a traditional 10:30 a.m. service, for the Rev. Jan Halstead, deacon of Christ Church, having a fifth Sunday in a month means an opportunity to go out and help the most vulnerable. “We want to do more face-to-face service in our community, meeting our neighbors and finding out what they really need,” said Halstead. Halstead along with Jason King, leader of Fifth Sunday; Carol Monroe, outreach coordinator, and 30 families and individuals participated in Fifth Sunday on March 31. King has partnered up with organizations such as Meals on Wheels, Opportunities for Williamson and Burnet Counties, which overlooks 13 Head Start locations, and other organizations who provide community service opportunities, as well as affordable housing programs. 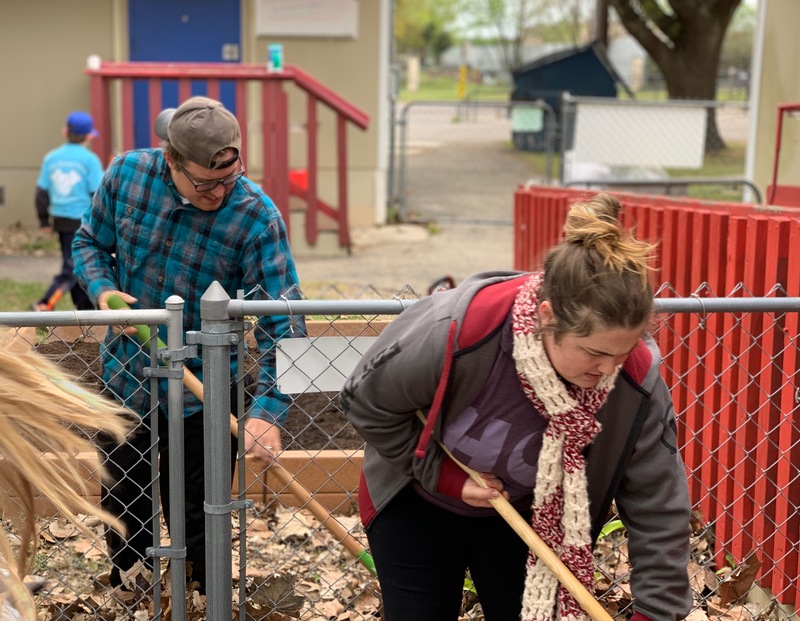 On March’s last Sunday, volunteers from Christ Church did a couple beautification projects which included sanitizing and fixing the garden and playground of Leander Head Start and helping clean-up the backyard of Mr. Allen, a disabled gentleman who is a recipient of Meals of Wheels. “Mr. Allen’s yard was extremely overgrown with grass, weeds and trees. We trimmed, weeded, mulched, rearranged outdoor furniture, and stood up a fallen down fence,” shared King. But that wasn’t just it—King and volunteers helped Mr. Allen save hundreds of dollars. “There was a dead tree in the backyard. When we tipped it over and pulled it out, the ground was filled with water. We dug and found a busted water pipe. Come to find out, Mr. Allen's water bills had been astronomical, $130-$200 per month when they should have been $30 … Maybe it was divine intervention, but we were able to shut off the water, get the supplies we need, and fix the pipe. Mr. Allen was more than ecstatic,” said King. King is looking for more organizations and opportunities to volunteer in the Cedar Park, Leander and Jonestown areas on a fifth Sunday. The next Fifth Sunday Day of service will be June 30th. Christ Church members are planning to repaint some offices at the Travis County Community Center in Jonestown, taking shifts at a local laundromat and providing folks with free supplies and quarters to do their laundry. Any groups who wish to participate are encouraged to contact King by email or by calling 210.393.5421.